Once clicking 'Edit Email" you will be directed to the page below. Where you will create a "Welcome Email" that will be sent to all users upon registering. 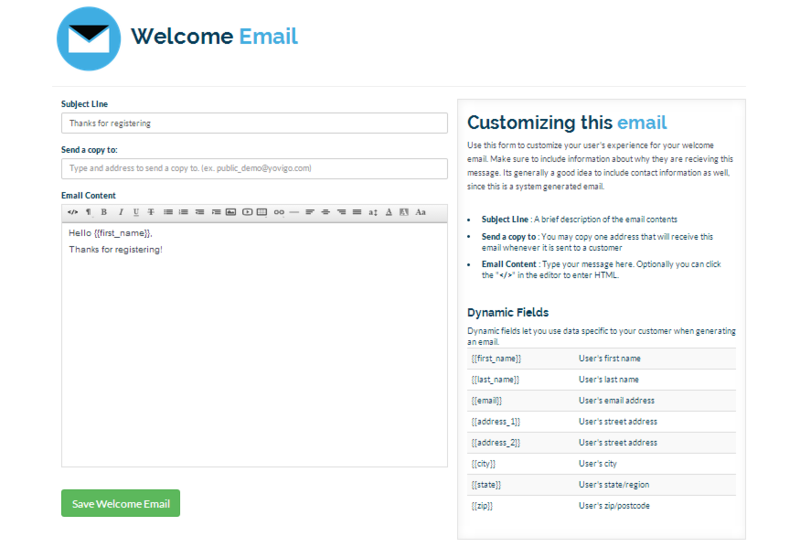 Use this form to customize your user's experience for your welcome email. Make sure to include information about why they are recieving this message. Its generally a good idea to include contact information as well, since this is a system generated email. Email Content : Type your message here. Optionally you can click the "</>" in the editor to enter HTML. 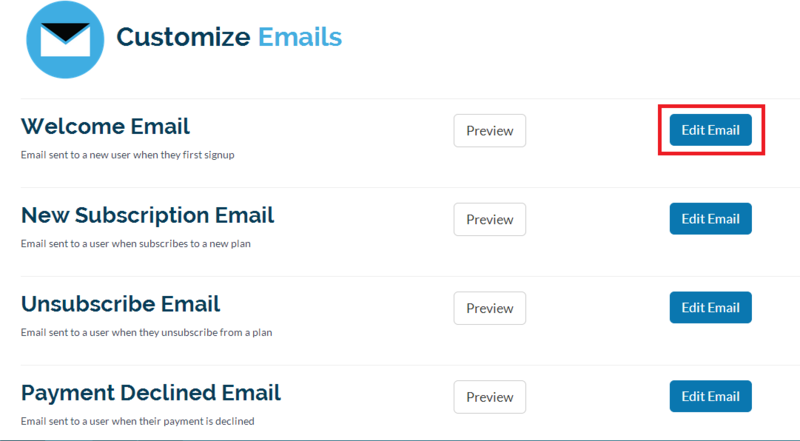 Dynamic fields let you use data specific to your customer when generating an email. 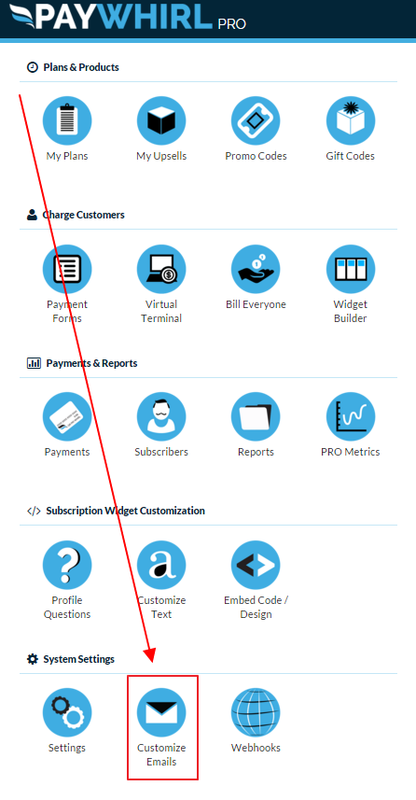 We also have the ability to interface with MailChimp so you can add your subscribers to a mailing list automatically.